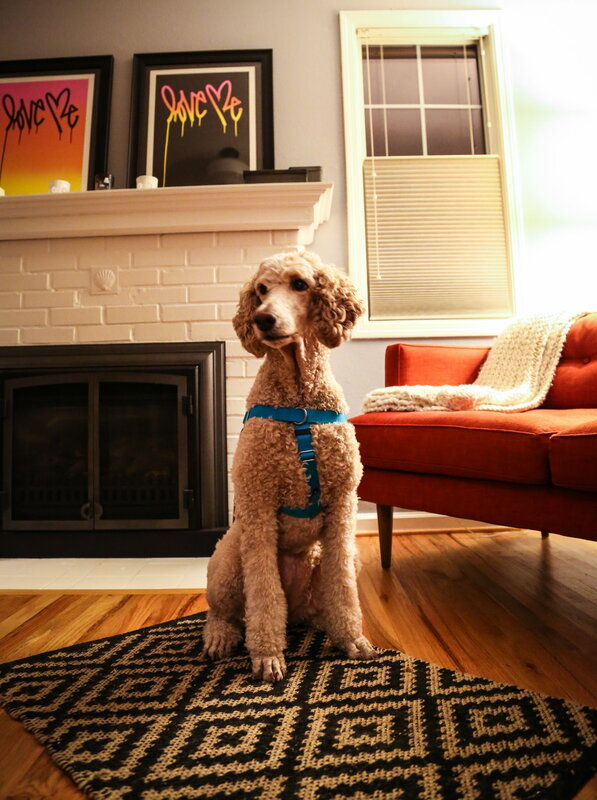 My name is Beja and I am a beautiful and very sweet 7 ½ year old Standard Poodle. 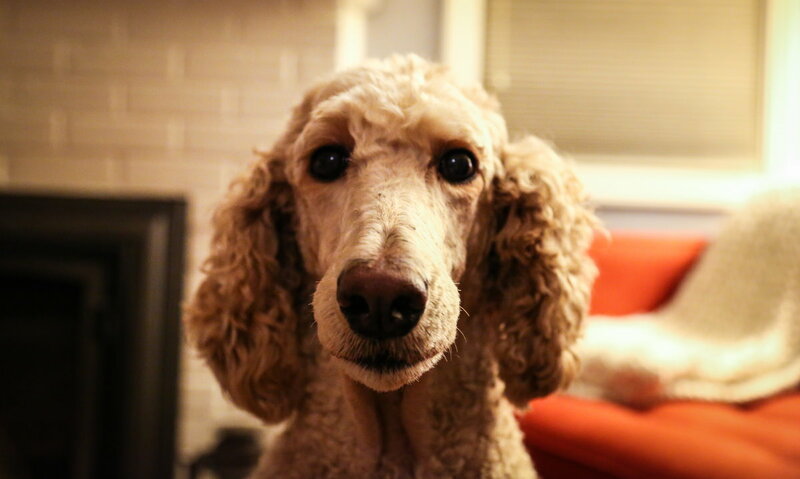 My life-long mistress passed away unexpectedly on my 7th birthday. She was retired, so I lived a life of morning walks, errands in the car, and lots of couch time with her watching cooking shows. For the past five months, I have been living with her daughter, who works long hours, lives in a 3rd floor, one-bedroom apartment, and has three cats, which I love to chase and bark at. I have done an outstanding job of guarding the premises and being her companion when she is home. I love people of all ages and connect deeply with those that want a relationship with me. I do not, however, tolerate most other dogs. When I am on leash, I consider it my job to protect my owner and do not want to meet other dogs at that time. I have received professional training and know quite a few things. I am a much-loved dog! At any time throughout the remainder of my life, if you decide you no longer can care for me, or simply decide I am not the match for you, it is fully expected that I will be returned to my current owner no explanation will be needed. Please email my owner, Julie, at jhamiltonann@gmail.com, to express your interest in me and to receive an application. I come to you spayed, vaccinated, micro-chipped, and with so much love and companionship to give you.